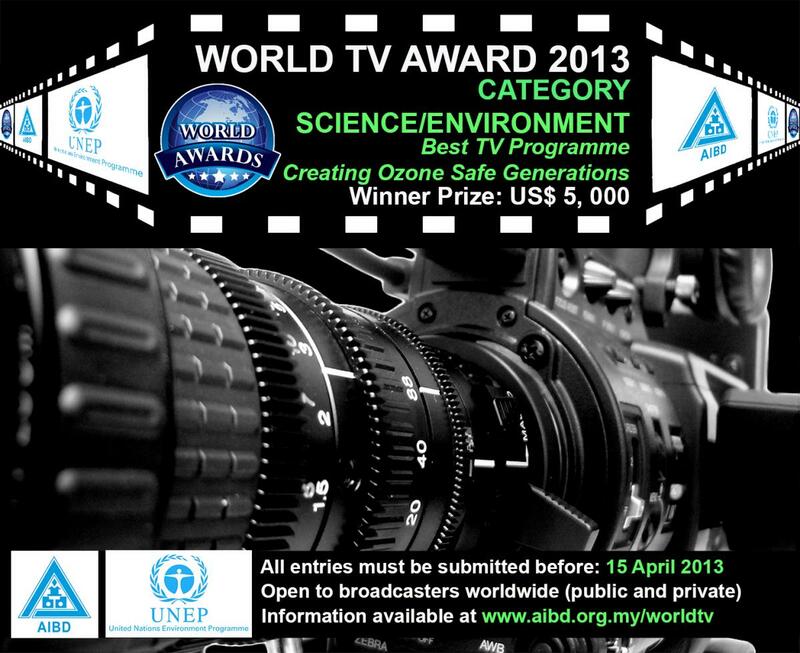 CATEGORY HUMANITY for the Best TV Documentary "Dealing with Natural Disaster"
CATEGORY SCIENCE / ENVIRONMENT for the Best TV Programme "Creating Ozone Safe Generations"
The final jury session of the World TV Awards 2013 took place 2 and 3 May 2013 at the AIBD office in Kuala Lumpur. 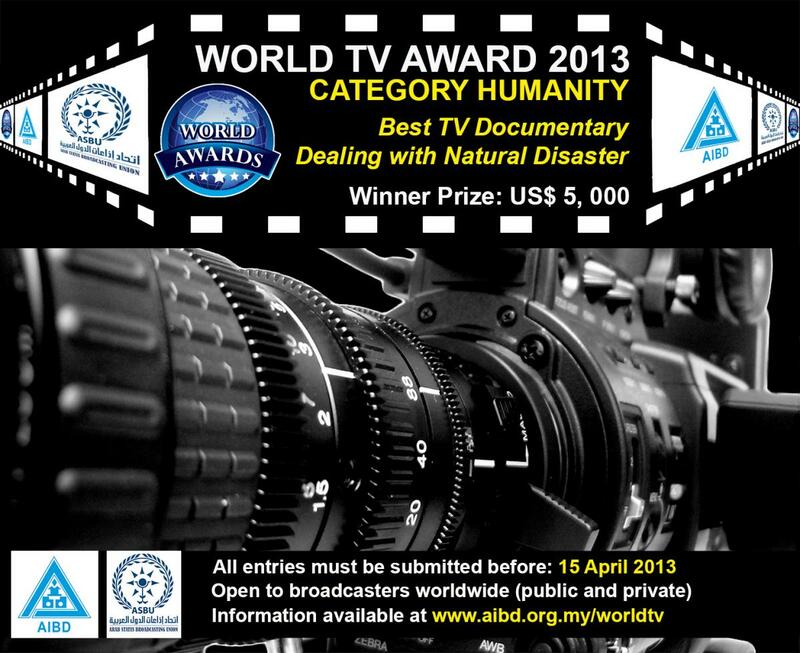 23 entries were received from 13 countries for the category Humanity and 19 entries were received from 14 countries for the category Science/Environment. Ms Moneeza Hashmi, General Manager, HUM TV Pakistan and President of Commonwealth Broadcasting Association (CBA), chaired the international jury.